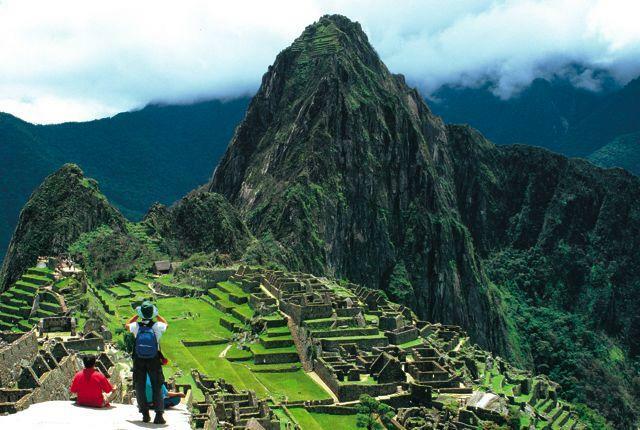 Experience a new world filled with ancient ruins, coastal beauty, and inspiring mountain peaks on a personalized Peru tour for seniors. Blend your time with your desire to travel at a pace you set, while finding the comforts you deserve and the excitement you crave. Discover vivid colors on traditional clothing and touch the home where the Inca empire began while searching for the wildlife that brims on the waters and islands of the Pacific. Your Peru tour takes you from Lima to Puno, and Paracas to Cusco to uncover the marvels of the past and natural splendors of the landscape. 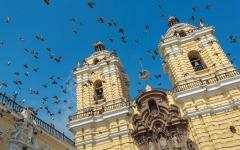 Explore, experience, and enjoy the highlights of Peru on a senior tour blending exciting excursions with relaxing luxury. Your 14-day Peru tour takes you across the fascinating landscape to reveal the splendors of snow-capped peaks, riverside highlands, and secluded islands found in high-altitude lakes and the Pacific Ocean. 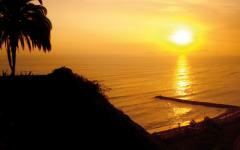 Your adventurous and scenic Peru tour begins in Lima where your private transfer greets you upon arrival and escorts you from the airport to your gorgeous hotel in the coastal neighborhood of Miraflores. 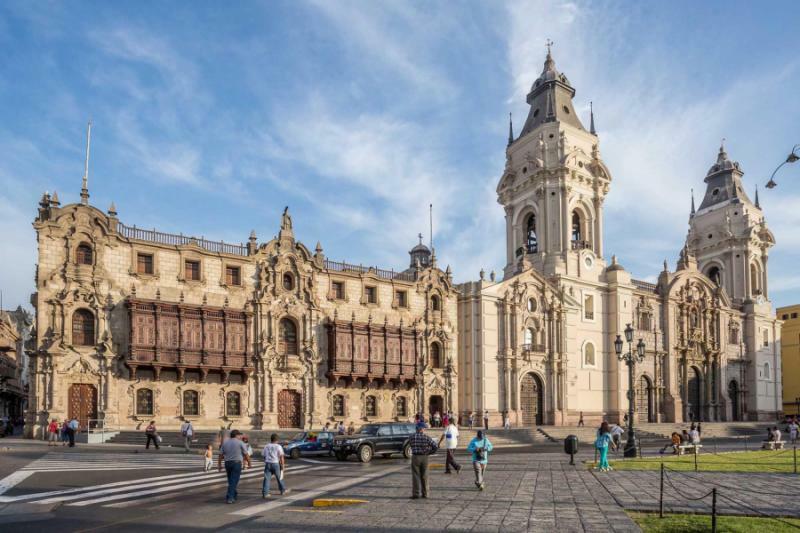 Take your time in the capital city to discover the hidden charms, bustling ambiance, and amalgamation of Peruvian culture drawn from around the country. View the Spanish colonial architecture, visit historic catacombs, and find the active life in the local markets. The Sacred Valley offers you an oasis far removed from the rugged highlands of the Andes Mountains. 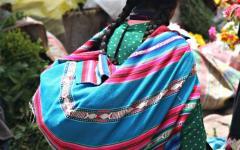 Andean women continue to wear vibrant colors shining from traditional handwoven clothing. 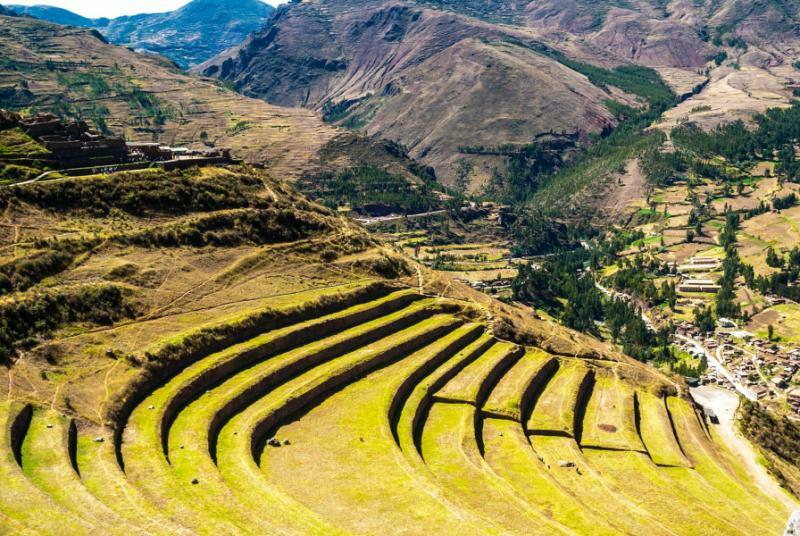 Stroll through the aisles of the Pisac Market and wander at your preferred pace up the marvelous terraces leading to the remains of an Inca community. The ruins of a former fortress and ceremonial district at Ollantaytambo towers over the town below where Incan homes continue to line the streets. The scenic train ride leads you to Aguas Calientes where you have a guided tour of the captivating complex of Machu Picchu. Learn about the history and absorb the majestic ambiance of the once hidden Inca complex before returning to Cusco. 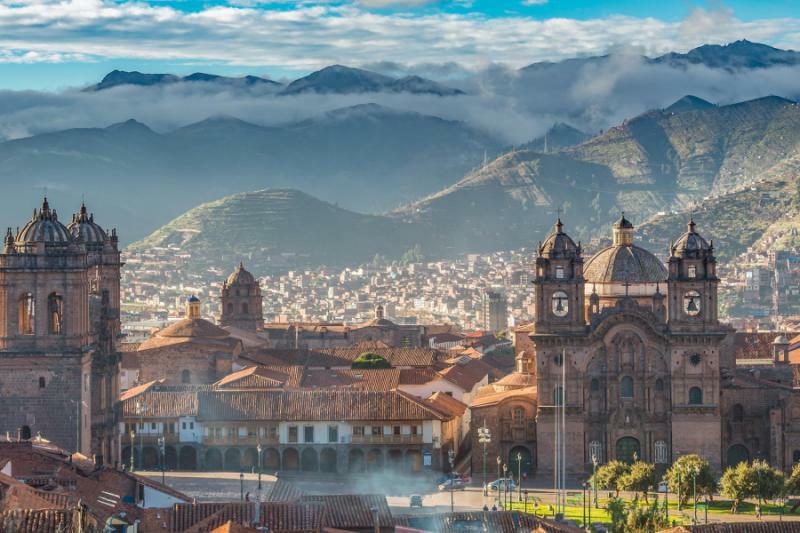 The capital of the Inca Empire displays the grandeur of its past through the remains of Inca foundations and charms of the Spanish colonial architecture. 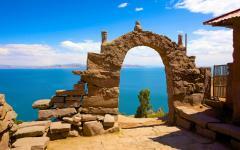 Puno presents a remarkable ambiance at high altitudes along the shores of Lake Titicaca. Enjoy a day on the water discovering floating islands and distinctive cultures before traveling into Bolivia to step onto the Island of the Sun where the Inca Empire began. Transfer to Paracas on the Pacific coast where the change of pace offers pristine beaches and unobstructed views to the western horizon. 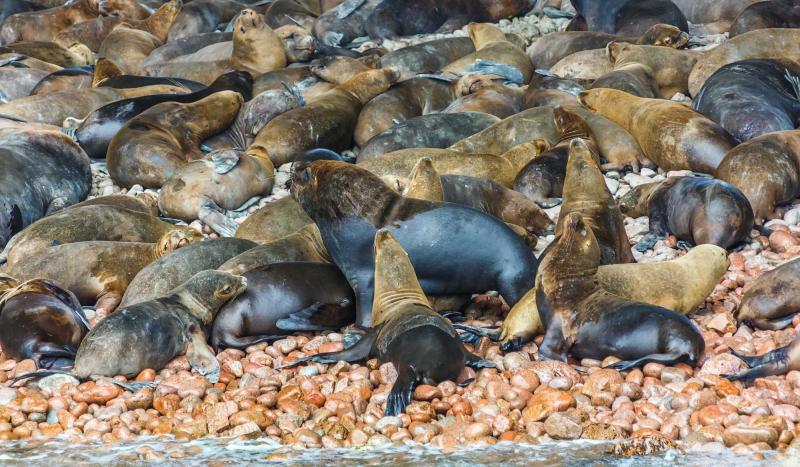 A full-day cruise immerses you in the natural wonders of the protected landscape, offering visions of sea lions, penguins, dolphins, and flamingos. Bask in comfort with a day at leisure, allowing you to lounge by the pool or at the beach, visit one of the local museums, or enter an archeological site with Inca ruins unique to the coastal region. 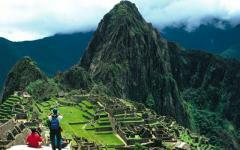 Consider browsing our Machu Picchu trips page to gain further insight into your own tip to Peru and Machu Picchu. 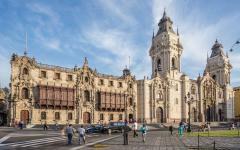 Peru’s capital city is a metropolis of historic splendor and fascinating culture, encompassing the marvels of contemporary Peruvian life and the distinctive character drawn from the various customs from around the country. 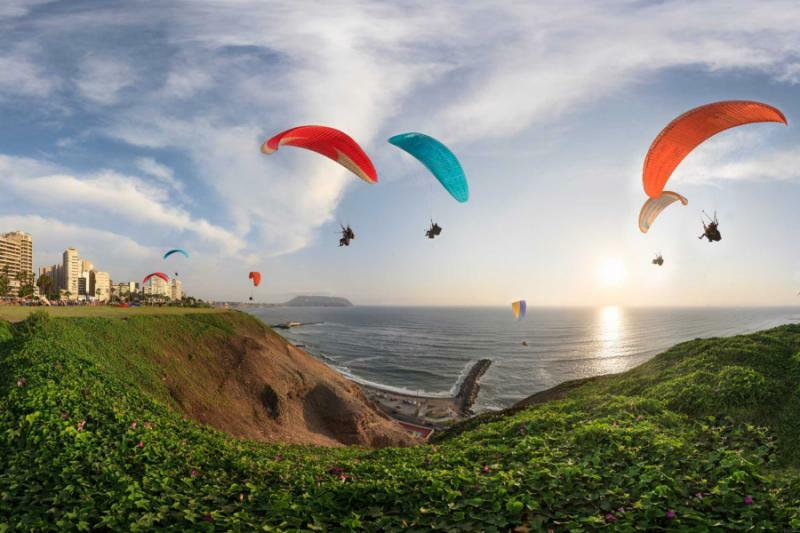 The streets and homes stretch from the shores of the Pacific Ocean to the arid hills, far removed from the colorful Andean villages and llama-clad mountain peaks. Vibrant markets and remarkable museums offer glimpses into the continued traditions and preserved practices reaching the secluded corner of the Amazon and the high-altitude plains around Lake Titicaca. Your private transfer greets you at Jorge Chavez International Airport upon your arrival. 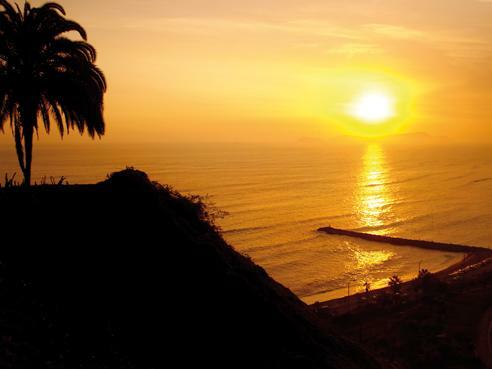 You venture to a luxurious hotel in the neighborhood of Miraflores which represents the chic, fashionable, and contemporary side of Lima. 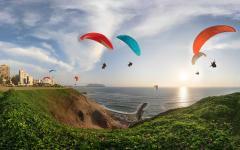 Quiet walkways line the cliffs overlooking the coastline and hang gliders soar above the water like elegant birds. The scent of the sea drifts through the air, accompanying the soft aroma of fresh-squeezed lemon dressing ceviche, a popular Peruvian dish. The remainder of the day is yours to stroll through the city at your preferred pace, discovering the hidden charms of the large city. You venture to the Mercado de Brujas, known for selling unique goods such as snake fat and delicate blends of herbs and spices. Seniors of Peru often visit the market for homeopathic cures to arthritis. The scent of sage floats through the aisles across cactus leaves, displays of shells, and healers eager to help customers navigate the treatments. 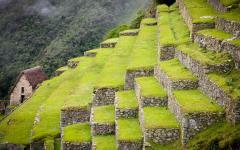 Consider reading some of our travelers' Machu Picchu trip reviews for further information on this exciting tour. At breakfast, you enjoy the sweet flavor of tropical fruits decorating the plates, and the scent of fried egg fades beneath the delicious aromas of passion fruit and camu camu. After the meal, your guide greets you in the lobby ready to introduce you to the highlights of the celebrated capital city. 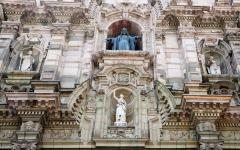 You begin in the Plaza de Armas, the embodiment of the Spanish colonial architecture decorating the city center. Flowers grow in rows along the green grass and beneath the towering palm trees. 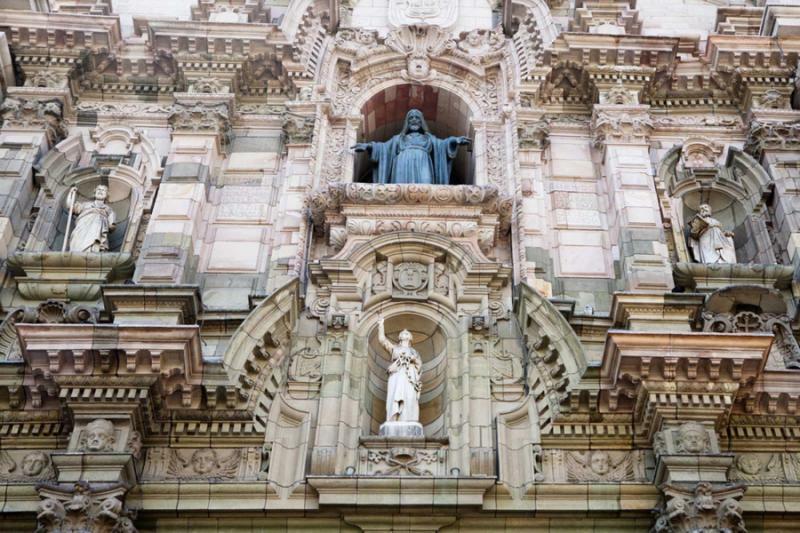 The cathedral was erected in the 16th century as the crown of the plaza, designated by Francisco Pizarro and the interior holds the herbaceous aroma of frankincense and myrrh. Golden light spills through the windows shining beneath the vaulted ceilings and the masterful piece of rococo sculpture dominates the wooden choir. Mosaics line the walls of a small chapel displaying a tomb holding the remains of Pizarro. In the plaza, the canary-yellow facade of the San Francisco Monastery shimmers above the central fountain. You continue to the elaborate Gold Museum, which features an elaborate collection of weapons, icons, and decorations from pre-Columbian Peru inside a unique building erected like a bank vault. At breakfast, you recall the unique catacombs at the center of Lima, located beneath the main floor of the San Francisco Monastery. The cool, damp, and hidden location was the first Spanish cemetery in the city and provided a resting place for civilians and monks until the early 1800's. You sip your delicious Peruvian coffee and meet your private transfer in the lobby ready to take you to the airport. Your brief flight whisks you into the Andes Mountains outside of Cusco, located at 11,000 feet above sea level. You can feel the change in the atmosphere due to the thinner air as you continue with a private driver to your hotel in the Sacred Valley, leaving behind the cobblestone streets, Inca foundations, and Spanish colonial structures of the former Inca capital. The craggy peaks of the Andes frame your scenic drive, rolling along the horizons in every direction. Your grand hotel is located along the banks of the Urubamba River where you can hear the water rushing against the rocks and grassy borders. The exterior resembles an authentic Andean village, utilizing the local material to help blend into the slopes. 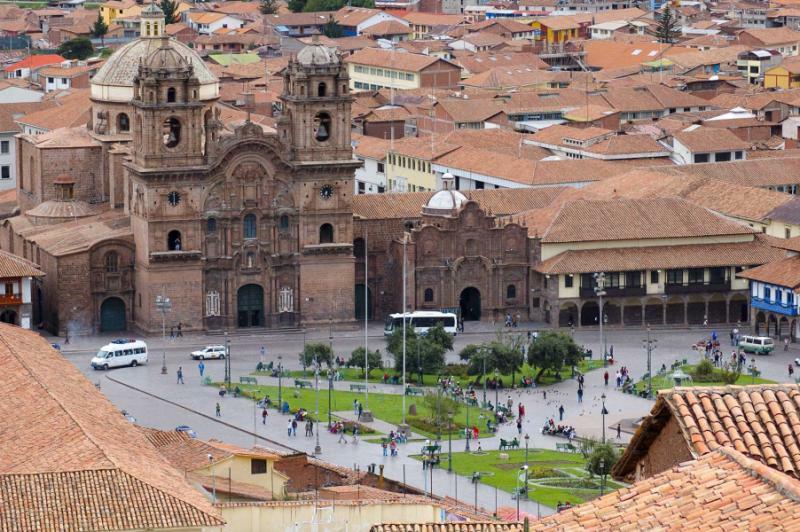 The air is crisp and easier to manage than that of Cusco, allowing you to acclimate easily to the altitude. After taking the time to check-in and relax, you have a private tour of the gardens with the head gardener of the grounds. His face beams with delight as he explains the indigenous flora unique to the Sacred Valley and the altiplano of Andes. At breakfast, you find the creamy texture of the cherimoya enticing. The custard apple is native to the Andean highlands and has a distinctive heart shape with a rough outer skin. Inside, you find a flavor similar to a mixture of banana, peach, and strawberry. 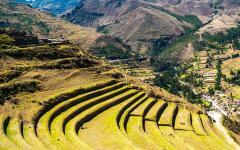 You take a deep breath at an altitude of around 9,500 feet above sea level as your guide leads you to the town of Pisac, known for its remarkable market and fascinating ruins. The market brims with colorful handicrafts turning the stalls into a kaleidoscope of vivid greens, reds, blues, and yellows on Sundays, Tuesdays, and Thursdays. Women dress in their traditional Andean textiles, which have remarkable woven geometric shapes accentuating the already vibrant hues. The scent of chicken soup and grilled corn drifts through the aisles of the market while children and local women in custom clothing pose for photos standing next to their pet llama draped in colorful garments. You continue to the stone walls supporting the stunning rows of agricultural terraces climbing the mountainside. Inca foot plows cultivated the landscape beneath the temples, baths, and ceremonial center, and the stone steps ascend the side of the terraces to reach the plateau overlooking the valley. 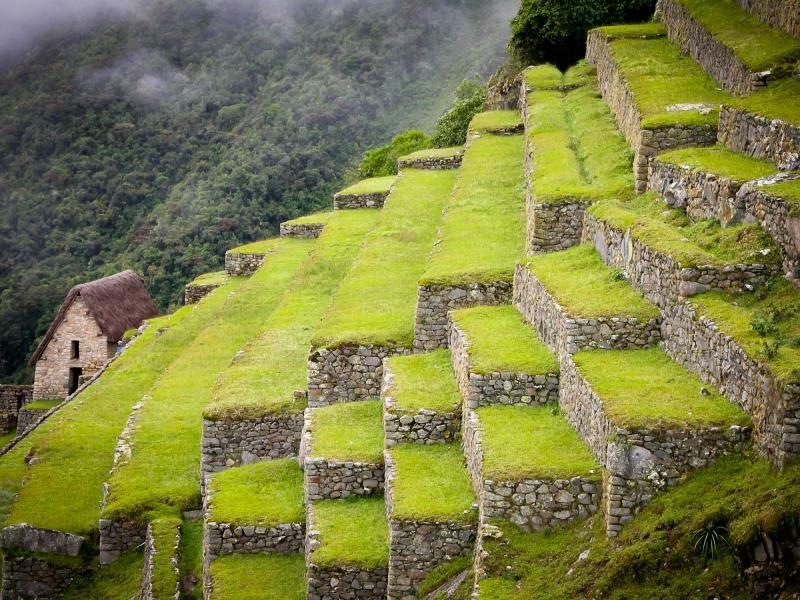 From above, you notice the way the terraces curl along the slopes absent of steps. Your guide points to the Intihuatana, which translates to “hitching post of the sun,” and helped the Incan astrologers pinpoint the exact dates of the winter and summer solstices. 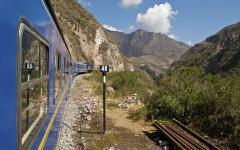 You wake early to board the train to Aguas Calientes from the town of Ollantaytambo. The luxury experience features the comforts of a vintage dining car with antique furnishings including brass rails and red velvet cushions. The tracks wind through the Sacred Valley along the banks of the Urubamba River offering views of the spectacular rugged Andean peaks and the thriving forest rising along the water. Orchids blossom and monarch butterflies flutter beneath the verdant canopy. The train travels along a series of seven switchback tracks before you pull into the station in Aguas Calientes and take a shuttle traveling between the train and the entrance to the archeological park. Before viewing the hidden city, you stop at the visitor center to receive a Machu Picchu stamp in your passport. You ascend the steps to the top of the plateau reaching nearly 8,000 feet above sea level. The magnificent terraces sweep alongside the sloping mountains into the valley below and the Urubamba River winds along the valley floor cutting around the foothills. The cool air nips at your nose as you follow your guide along the series of temples and ceremonial baths before reaching the Temple of the Sun. The rounded, tapering tower represents the masterful stonework of the Inca. The largest stones fit together like a puzzle without the need of mortar. The window aligns with the winter solstice when the sunlight streams through the opening at dawn and shines over the stone situated as the temple’s centerpiece. In the morning, you have the option to return to Machu Picchu for another look at the splendors of the once forgotten Inca city. You are continually amazed at the skill and function of the architecture and masonry, including the way the interconnected fountains and canals continue to function. 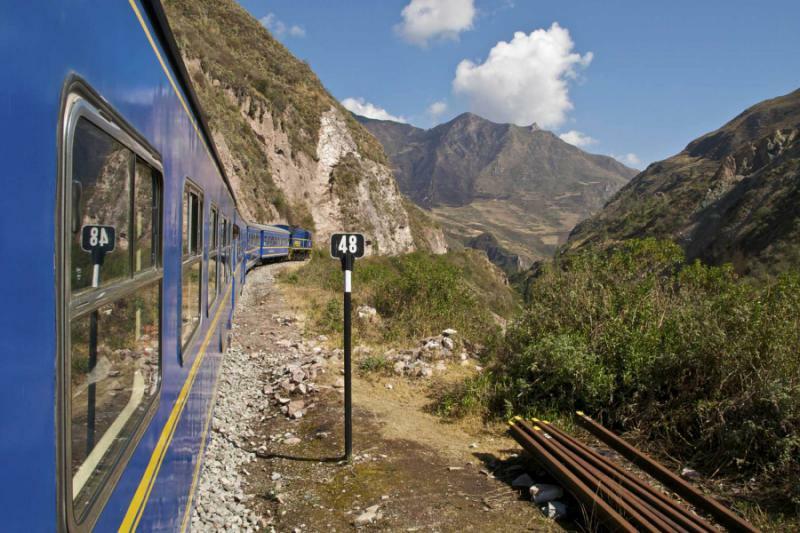 You take the train back to Cusco and settle into the comforts of your gorgeous accommodations. 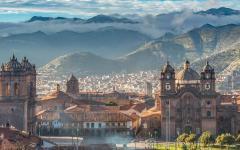 The city retains a cosmopolitan ambiance while displaying glistening Spanish colonial structures and dramatic Inca foundations. Cobblestone streets wind along the rolling hillsides leading to the suburbs that spread across the bordering summits. 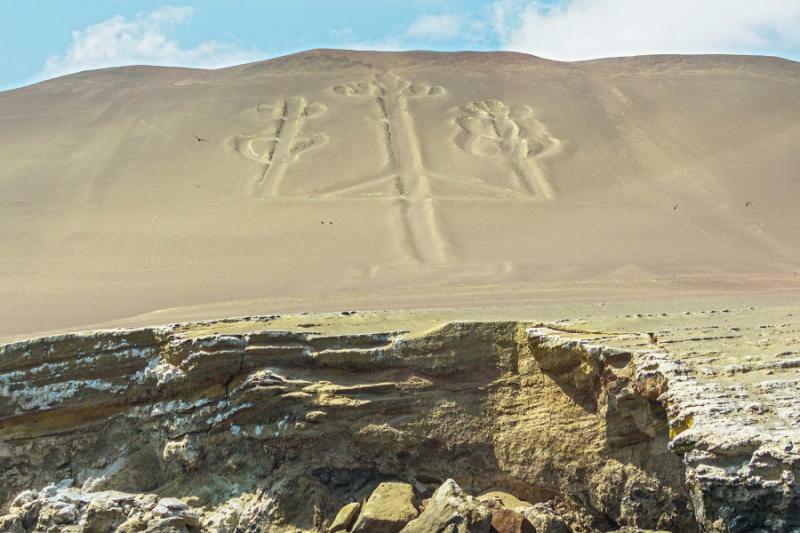 Stores showcase alpaca knits and paintings dedicated to the Incan images of the snake, puma, and condor. The aromas of coffee and chocolate emanate from serene cafes in the San Blas district, which stands above the city center and offers views to the corrugated rooftops and narrow lanes. The Central Market brims with activity and the scent of fresh popcorn. You spend time in the modest Inca museum, located northeast of the Plaza de Armas. The restored interior showcases a collection of metal, gold, and jewelry, pottery, and also mummies and you are drawn to the queros, wooden drinking vessels used during special ceremonies. At breakfast, the cafes around the city open their doors to the returning aroma of coffee sourced from Peruvian plantations. 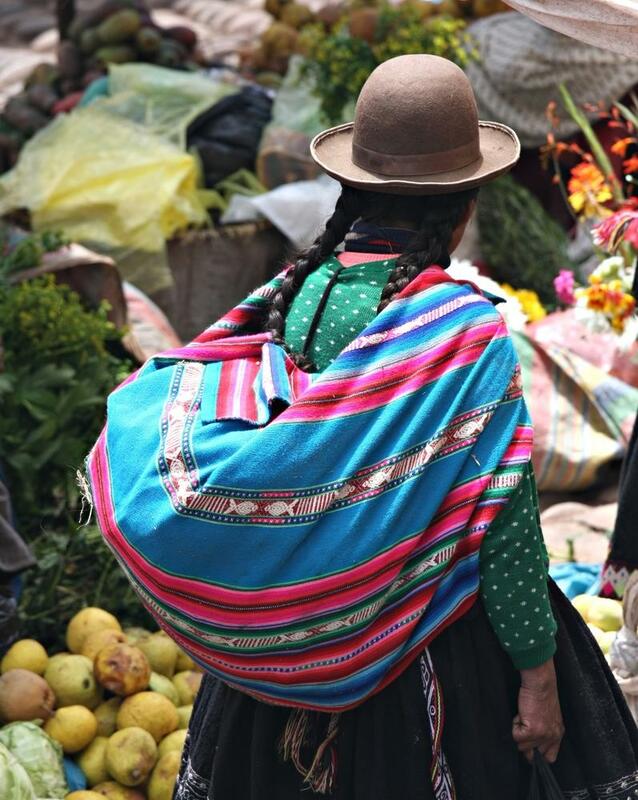 The Central Market returns to its bustling nature with locals searching for cherimoya, corn, or one of the 2,000 different varieties of potatoes, many of which the Inca helped create. After the meal, your guide leads you on an in-depth tour of the city’s most famous sites including the looming fortress of Sacsayhuaman and the stunning former temple of Qorikancha. The fortress is situated on the hilltop overlooking the entirety of Cusco at an elevation of over 12,000 feet above sea level, and you take your time wandering the narrow lanes and open plazas of the fascinating complex. Your guide details the integrity of the masonry by attempting unsuccessfully to fit a blade of grass into the cracks between the boulders that make up the wall. The defensive walls zigzag for nearly 1,000 feet creating a unique formation modeled after the teeth of a puma. Only 20 percent of the original fortress remains. Stones weighing as much as 360 tons and standing nearly 30 feet tall were used to construct the buildings around the city. The circular foundations above the wall represent the location of the former towers used for storing water and food. The fortress is the site of the bloodiest battle fought between native Cusquenos and conquering Spaniards. The bells of the cathedral chime in the morning over the sounds of the trickling fountain at the heart of Plaza de Armas. At breakfast, you savor the rich flavors of Peruvian coffee before traveling to Alejandro Velasco Astete International Airport for your brief flight to Inca Manco Cápac International Airport in Juliaca. The scenic drive takes you over the mountainous ridges of the altiplano, reaching heights of nearly 12,500 feet above sea level. 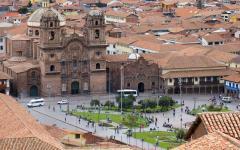 After spending time in Cusco, you have acclimated nicely to the thinner atmosphere. Your guide offers you coca leaves, a staple in the Andean communities to help battle altitude sickness. Locals and visitors chew the leaves or brew refreshing, comforting tea and, while the leaves are slightly bitter, you find an enjoyable flavor that quickly reduces the symptoms caused by the altitude. 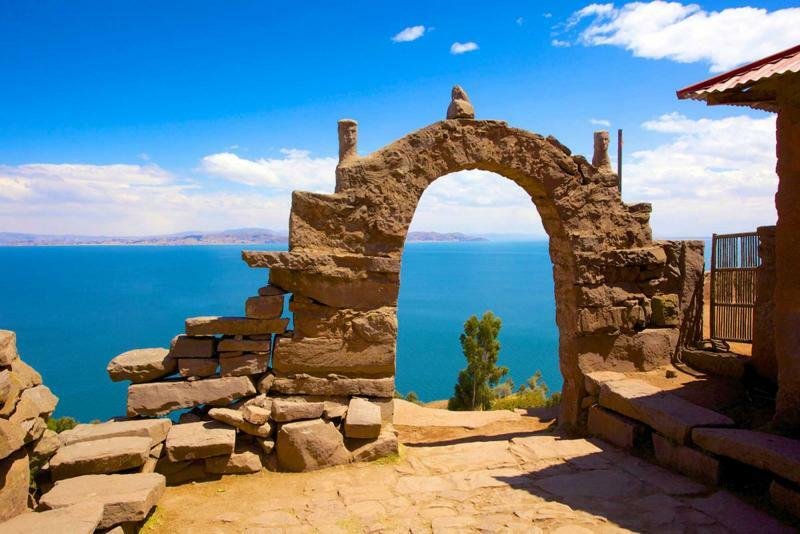 Your hotel offers spectacular views to the calm waters of the largest high-altitude lake in the world, Lake Titicaca, a waterway that encompasses more than 3,200 square miles and crosses the border to Bolivia. The remainder of the day is yours to explore the streets and walkways of Puno at your preferred pace, leading you to the pedestrian street of Pasaje Lima or the artisans’ market near the train tracks. For a unique view of the city’s history, you make your way to the antique British steamship, the Yavari. The 19th-century ship was built in Birmingham and carried by mule from Chile to Puno where it sailed the lake for 100 years before being decommissioned. The morning light spreads across the cobalt waters of Lake Titicaca, revealing the hidden depths of the historic waterway. After an early breakfast, you board a boat bound for the open waters of the lake, keen on viewing the unique properties of the famous body of water which reaches a depth of 920 feet. The shores of Puno become a distant vision on the horizon as you reach the floating island of the Uros people. Traditionally, the community lives on a landmass made from totora reeds, which grow naturally in the water. 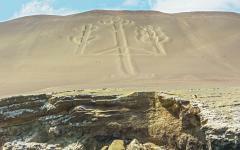 The community began more than five centuries ago when the people fled to the lake for protection from conquering Inca. They have remained on the water ever since, utilizing their great fishing skills and farming techniques to harvest produce on their floating island. The largest island has a watchtower, and tiny outhouses feed into the roots, which absorbs the waste, making the island sustainable and eco-friendly. More recently, contemporary amenities have reached the islands, including solar power and motor boats. 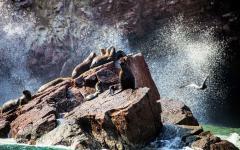 You continue to Taquile Island, which is known for its steady knitting community and stunning views across the water. You depart from Puno early in the morning to cross the border into Bolivia. The city of Copacabana ambles up the hillside overlooking the mixture of green and blue water. Two hills frame the colorful streets of the former pilgrimage site, where people from across the Andes would travel to reach the Sun and Moon Islands. The cathedral shimmers with white stone and blue tiles in the Portuguese decorative style of azulejos. The facade resembles the Moorish architecture of mudéjar, as opposed to the Spanish baroque design you have grown accustomed to while in Peru. You marvel at a view of the statue of the Virgin of Candelaria which was carved by the grandson of Incan Emperor Tupac-Yupanqui. The marvels of the lake continue as you step onto a boat and cross the water to reach Isla del Sol. Your guide explains the history and mythology surrounding Lake Titicaca, which is considered the birthplace of the Inca Empire. 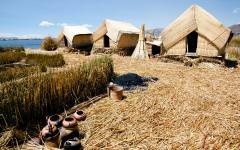 Around 800 families remain on the island, farming, fishing, and welcoming its visitors who are eager to learn about the unique nearly 30 square mile land mass rising out of Lake Titicaca. With more than 80 different ruins on the island, your guide leads you to the most notable, the Chincana Ruins, located at the northern tip of the island. A maze of stone walls and tiny doorways creates the Inca Palace and leads to a small well which archeologists believe held water used for a purifying ritual. The rock’s western wall contains the Face of Viracocha, while the southern edge of the rock holds the Refuge of the Sun and Moon. Tradition dictates the sun appeared at first from this point, leading to the emergence of Manco Capac, the founder of the Inca, and Mama Ocllo, the fertility goddess. In the morning, the shops along Pasaje Lima open their doors to the city, and the scent of grilled corn fills the air as the street vendors return. The choppy waves on the water brush against the hotel deck and your private transfer greets you in the lobby after breakfast, escorting you to the airport at Juliaca for your flight to Lima. 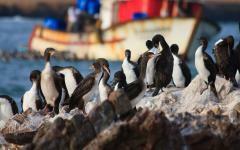 You quickly depart the capital city with your private driver, heading south to the luxurious coastal village of the Paracas Peninsula. Your pristine resort offers a private view of the waves splashing against the golden sand. Towering palm trees shade the edges of the pool, and the sea breeze cools the arid sunlight. 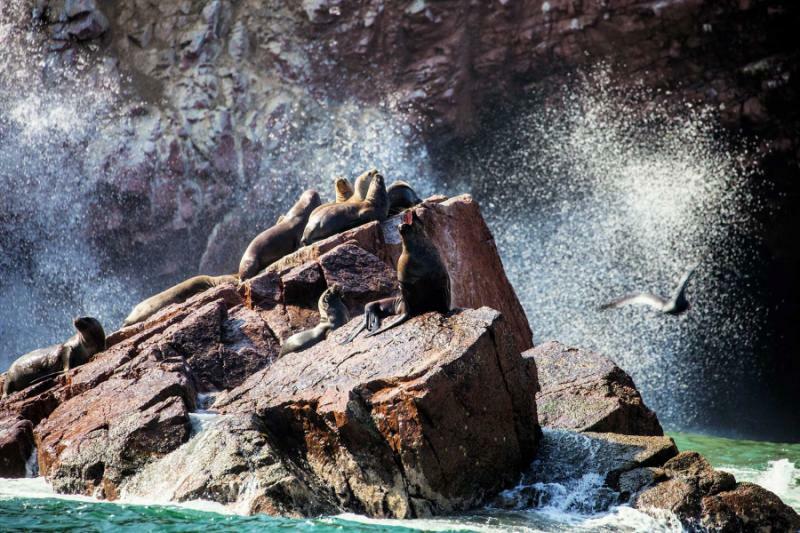 Boats moor against the hotel’s private dock and weigh anchor bound for the stunning Ballestas Islands often referred to as the “Mini Galapagos.” The day is yours to indulge in the tranquil seaside charms of the town at your leisure, leading you to the Malecón. The aromas of chocolate and coffee fade beneath the delicious citrus scent of ceviche and locals and visitors sip pisco sours while enjoying the fading light at sunset. The sunlight glints against the surface of the Pacific and shimmers along the golden sands spreading over the peninsula. At breakfast, the aroma of tropical fruits, such as pineapple and coconut, drift through the dining room. 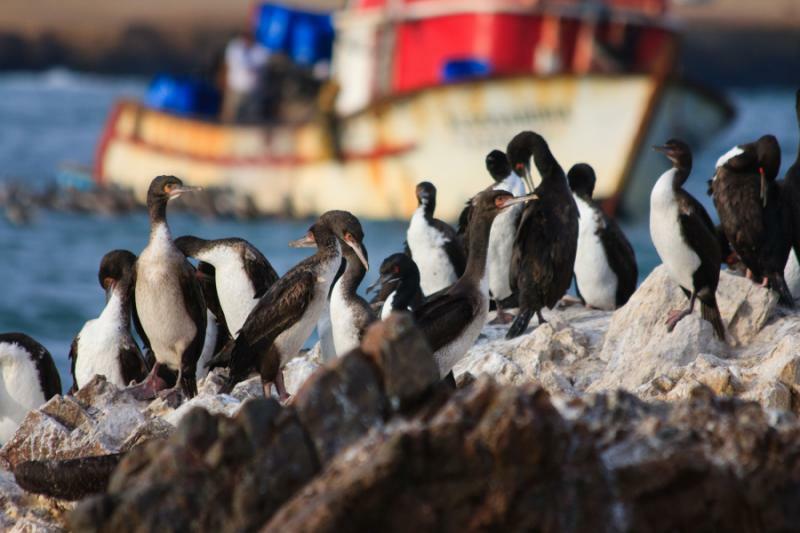 After the meal, you board a boat for a full day on the water, leading into the Paracas National Reserve and the Ballestas Islands. The reserve reaches nearly 1,300 square miles and protects over 217,500 acres of marine life and nearly 120,000 acres of coastal land. You watch the smooth cliffs rise out of the rolling turquoise waves of the Pacific. Your guide quickly points to a pod of dolphins playing in the water’s current. Pelicans perch in the quiet, wading water, resting after an early flight. 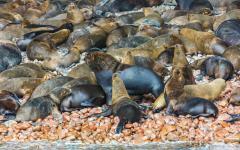 Octopus and squids swim in the ocean deep, and on the rocky island edges, you find Humboldt penguins. The unique ecosystem offers a perfect roosting position for the birds commonly associated with colder climates. They can grow to nearly 30 inches long and have pronounced black plumage outlining their white underbellies and streaking their foreheads. The spines on their tongues help to hold their wiggling prey during a hunt, and they have a distinctive call that sounds similar to a long, bursting kazoo. You watch as one dives into the placid water, revealing how it flaps its wings as if flying through the current. The day is at your leisure to explore or relax as you prefer, taking to the pool, beaches, or shopping galleries around Paracas. The sea breeze rustles the palm trees towering overhead, and you cannot help but think back to the sleeping sea lions basking in the sunlight the previous day, or the way the pink plumage of the flamingos reflected in the stoic pond. For an educational experience, you can tour Tambo Colorado, also known as Puka Tampu. Red paint once draped over the Inca lowland outpost, which is the best-preserved Inca archeological site on the southern coast. Archaeologists believe that the complex was a control point for passing traffic consisting mostly of conquered peoples around the borders of the empire. You find spots on which the red, yellow, and white colors have remained, adding bright bursts to the prevalent regional material instead of neatly cut stone. You wander amongst the storehouses, living quarters, and military installations for a better understanding of the distinctive complex, offering a hidden reward to archeology fans and those interested in the Inca. The highlights of Peru have taken you from the coastal lowlands onto the placid waters of the largest and highest freshwater lake in the world. At breakfast, you relish the sweet flavors of Peruvian cherries and enjoy the vibrant colors of the dragon fruit’s rind. You reflect on the remarkable journey you took across the Andes and along the Pacific waters, discovering the majesty of hidden ruins and the splendor of wildlife. After the meal, your private transfer greets you at the hotel and escorts you back to Lima and Jorge Chavez International Airport, where you check in for your flight home.